Your monthly housing payment includes much more than just the mortgage. So you've decided you want to find and purchase a house. But before you can start looking for a new place, you need to understand how much the new pad is going to cost. In addition to the monthly mortgage payment, you must figure out other associated expenses, including homeowner's insurance, property taxes and, if necessary, private mortgage insurance. 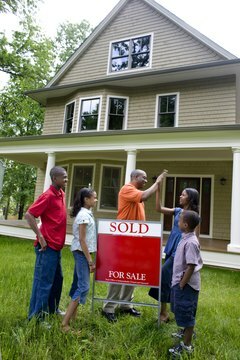 Estimate the cost of your new home as the starting point for your remaining calculations. On average your mortgage payment will cost between $600 and $700 per month per hundred thousand dollars borrowed. In this estimation, err on the side of caution, this number is just a starting point for the remaining calculations. Estimate the amount you can put down for your home loan. If the down payment is more than 20 percent of the cost of the home, you will not be required to obtain private mortgage insurance (PMI). 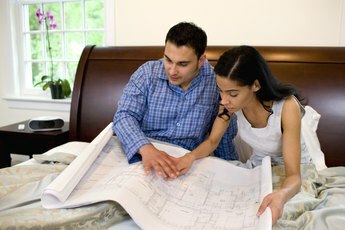 If the down payment is less than 20 percent, you will have to obtain PMI. Contact your bank or lender to find an estimate of the interest rate for your mortgage. Contact your insurance agent and obtain an estimate of cost of homeowner's insurance in your area. While you will need an exact home value for a quote, most insurance companies can provide an estimate based on the price range of your home. Contact your local tax assessor's office for the property tax rate in your area. 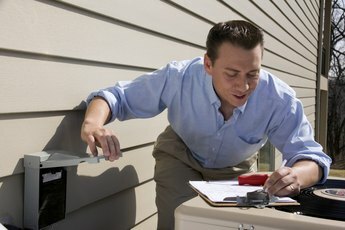 Many municipalities have this information available online, but don't be afraid to call the assessor's office if you cannot find it on their website. Find a free, online mortgage calculator and plug in all the estimates you came up with. The calculator will do the hard work and provide a complete monthly cost of your new home, including mortgage, insurance, possible PMI, homeowner's insurance and property taxes. Private mortgage insurance protects the bank or lender from you defaulting on the mortgage. Your lender can provide an estimate of this cost, but it generally costs $50 to $80 dollars per month for a median-priced home of $159,000. If your new home is a condo or townhouse, there may be monthly condo fees you have to pay. These fees cover shared-space maintenance and other community costs, such as landscaping, parking lot maintenance, and other costs. The condo association will provide information about these fees. Add these costs to the monthly estimate you obtained above to get the total monthly cost of your new home. Don't forget that your new home will require maintenance. Save additional money every month to cover any unexpected expenses. Based in Beaufort, SC, Eric H. Doss has been writing professionally since 2005. Mr. Doss is a writer and editor for an international publishing and information company and his work has appeared on eHow, Answerbag and other websites. A trained historian, he holds a master's degree from Clemson University. 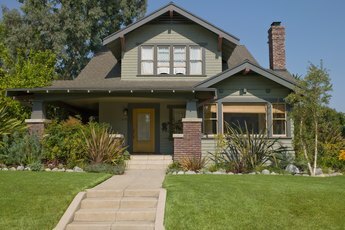 How Much of Your Monthly Income Should Be Set Aside for Repairs When Buying a Home? Can You Take Out a Home Equity Loan Before Owning a Home for a Year?